A swollen foot is a condition in which a fluid accumulated in the lower part of the body primarily ankle, feet, and legs. This condition can happen due to several reasons however mostly it is not a matter of concern and it gets vanished automatically. Still, if the condition is not getting healed on its own and accompanied by other symptoms too then it requires immediate treatment. Reason or causes of swollen feet can be anything from a small to a big cause. Generally, this health condition develops due to longtime standing on feet, medication side effects, as a pregnancy symptom, due to any previous surgery etc. Also, older people face the issue of swollen feet as an aging effect. The swollen may occur in many parts of the body but it develops mostly in the lower part due to the gravity factor. Also, it happens either on one side or on both sides of the body. Whatever the reason of swollen maybe if its symptoms are lasting for a long time then it can hamper normal living and affect your overall health condition. So it is needed to be cured either by home remedies or by medical treatment depending on the severity of the condition. Swelling occurs in feet, ankle, and legs. Affected skin area gets reddish or changes of color occur than the normal skin color. Loss of sensation for some time. Swollen feet may happen due to many reasons some of them are ignorable as they get disappear by own and some of them needs immediate medical attention otherwise it can cause a major health concern. Below we have mentioned most common causes of the swollen feet, ankle, and legs along with its treatment method. If an injury occurs in the foot or in the ankle portion then swollen occurs as a symptom of this injury or trauma. This may be a result out of both mild to a major form of injury that requires treatment to get recover completely. Along with swelling other symptoms also develop if it is caused by an injury factor but that needs separate treatment and take care. Don’t put any kind of pressure on the injured feet and ankle for treating the swollen. Also, try to elevate the injured body part whenever possible. Apply an ice over the injured area for the relief. Also, use a compression bandage for protection and for the pain relief so that swelling can be resolved. Take the counter medications for the relief from pain. If swollen doesn’t go off and no relief seen after the self-medication then the necessity of consultation with doctor requires to check the intensity of injury. As per the severity of damage, the doctor will start further treatment. Many times swelling in feet develops as a result of some kind of infection. Inflammation in feet area causes to develop fluid which takes the form of swelling. Infection in feet mainly happens due to an insect’s bite, burns, and blisters. Apart from these people who have the diabetic neuropathy health condition or any kind of nerves related health problem are most likely to develop swollen feet issue. Swelling due to infection often accompanied by other symptoms such as irritation, pain, and redness. For treating a swelling caused by infection, doctors prescribe oral or topical antibiotics. Swelling in feet and ankle can occur as a result of clotting in blood vessels. Clumps of blood generate in legs that obstruct the normal blood flow in the veins which circulate up to the heart. This trouble in smooth blood flow due to blood clots causes swollen in ankles and feet. This condition particularly happens on the one side of the leg. Along with swelling, you can observe other symptoms like fever, tenderness, redness or change of skin color from the normal color, pain and warm sensation if swelling is developed as a result of a blood clot. Increase your liquid intake including water. Exercise on the regular basis and focus especially on the workout forms that involves feet stretching so that clot can spread. Doctors will prescribe for blood thinners to destroy the clot so that the flow of blood can get a normal rhythm. Don’t sit for the prolonged period otherwise, it can worsen your condition. Change your lifestyle. Especially if you live a sedentary lifestyle then get more active in your day to day life. There are several medications that don’t suit your body and develop some side effects such as swelling in foot and ankle. A fluid starts getting stored in the lower part of the body as a side effect of the consumption of some medications. 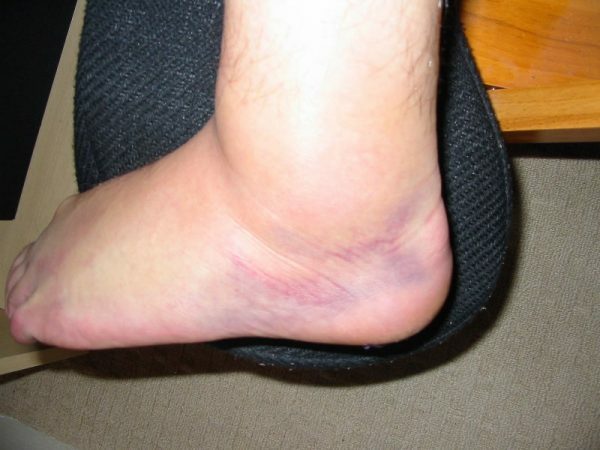 As a result of it, swelling happens in foot and ankles. Medications that mostly causes swollen feet as its side effect include diabetes medications, steroids, ACE inhibitors, calcium channel blocker, antidepressants, non-steroidal anti-inflammatory drugs and hormones like testosterone and estrogen. If you are facing trouble like swollen feet after having certain medication then consult with your doctor, they will prescribe any other medicine for replacing the one which is causing a side effect. Also, they can suggest any other option to relive your foot and ankle swelling problem caused by medication’s side effect. Certain liver diseases may cause you to develop problems like swelling in foot and ankle. Any liver disease affects the normal functionality of liver leading to accumulation of fluid in the feet and legs resulting in swelling occur. Liver-related health issue may develop due to several reasons including over alcohol consumption, a genetic problem which is passing from one generation to other, obesity and some kind of virus attack on liver etc. 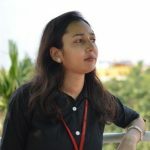 Apart from swelling other symptoms that develop as a result of liver damage are fatigue feeling, itching in the skin, eye and skin color get yellowish, stool color gets pale, bloody or tar, loss of appetite, swollen and painful abdomen area, urine color gets darker, vomiting, nausea, bruising etc. If the cause of your foot and ankle swelling is liver disease then you must take care of your body weight as often over body weight leads to swelling in feet. Reduce your alcohol consumption or leave it completely. Take necessary medications after consulting with the doctor. If the liver condition is quite bad then surgery as the last option used by the doctors to treat it. After surgery swelling problem will disappear automatically. Heart failure is a chronic form of health condition which particularly happens due to infrequent blood flow through the blood vessels that connect to feet and heart together. If swelling in the ankle particularly happens in the evening then it indicates for right side heart failure. As a result of the retention of salt and water swelling occurs in feet. Under the condition swelling in feet is caused by the heart failure you may experience some other symptoms too along with swelling, which includes extreme weakness or fainting, problem in lying down flat, abdomen swelling, nausea, decrease in appetite, trouble in concentration, unusual heartbeat, breathing shortness, difficulty in body movements, foamy mucous kind and pink color cough, more than usual urine in nights, faster weight gain as a result of water retention, severe chest pain etc. Heart failure is a life-threatening health condition. So if you are developing all the above symptoms along with feet swelling then consult with a doctor for immediate treatment. Initial stage medications are given to stable the condition of the patient which needs to be followed lifetime for managing a stable health. Medical devices are placed to stabilize the heart rate. In the worst condition when device placement and medications are not working effectively surgery is conducted to control the condition of the patient. Kidney related health problems whether it is mild or severe (kidney failure), affect the normal functionality of this body part resulting in growth of salt retention in the body appear. This condition leads to water accumulation in feet and ankle which is the reason of swelling. Swollen feet and ankle caused by the kidney disease leads to some other symptoms too such as loss of appetite, chest pain, trouble in sleeping, problem in concentration, fatigue, weakness, lack of energy, breathing shortness, increased urination, dryness and itching in skin, nausea, vomiting, high blood pressure, muscle cramps, puffiness in eyes etc. Medications are given for lowering the cholesterol level. Medication for high blood pressure is given to the patient. Medications for relieving the trouble of anemia. Phosphate binder medications are given to the patient. Supplements of Calcium and Vitamin D are given to fill its deficiency. Low protein-rich diets are recommended to the patient. If kidney failure happens then its ultimate treatment will be dialysis or kidney transplant. Lymphedema is a health condition where lymph nodes either get damaged or removed through surgery for the treatment of cancer, resulting in retention of lymphatic fluid occurs in the feet area. It causes swollen in feet which requires medical attention. Apart from feet swelling other symptoms of Lymphedema are aches, limitation of movement, a thickness of skin, repetition of infection and frequent feeling of heaviness or tightness. Massage for manual lymph drainage. Exercise needs to be performed for lymph fluid drainage. A compression garment is applied to the affected area. Feet area is wrapped by a bandage. Complete decongestive therapy is applied for the lymph fluid drainage. 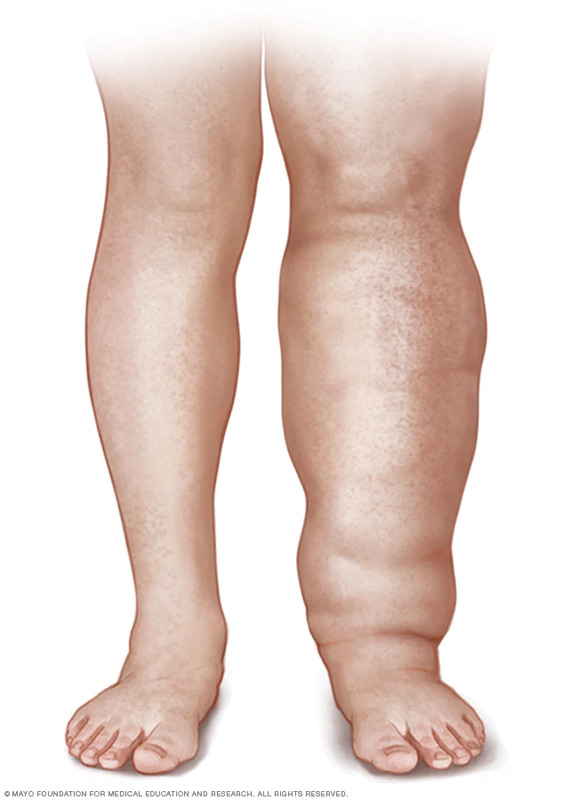 In the case of severe lymphedema, surgery is required for complete relief. 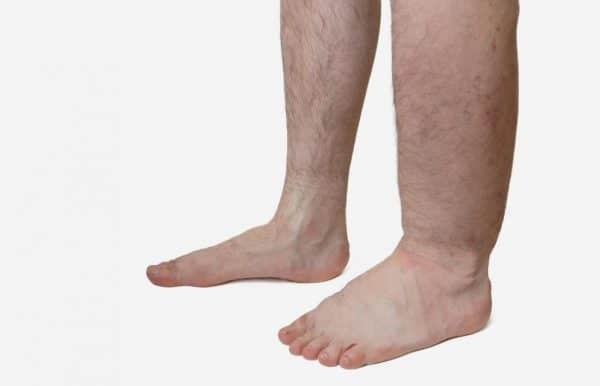 Edema is one of the most common reasons for swelling in feet in which excess fluid is retained directly in the tissue under your skin layer, resulting in swelling and puffiness occur in the legs, ankles, and feet. This health condition may also develop in arms and hands. Apart from swelling other symptoms of edema includes trouble in walking, stretched skin, abdominal size increased and dimple prone skin retains the dimple after pressing for a long time than the usual. In the cases of a mild form of edema, it automatically disappears with time. However, if it not vanished on its own then treatment should be given for the complete relief. Different forms of workouts are suggested for the people who developed edema. Some popular one is Legs up the wall pose, lying down with legs and feet above the heart level. Reduction in salt intake in the diet helps to ease the symptoms. Support stockings wear helps to relieve the condition. 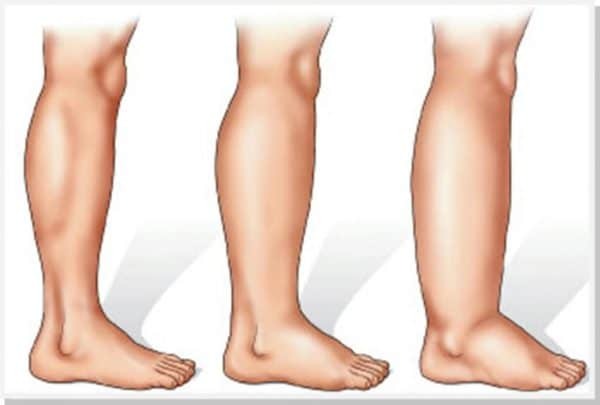 Major venous insufficiency health condition develops when blood collected in the vein of legs and feet resulting in swelling occurs in these body parts. The blood accumulation obstructs the blood flow to the heart as these veins supply blood to the heart of the patient from feet and legs. This health condition occurs due to valves damage, prolonged sitting in a posture or due to longtime standing blood flow get obstructed resulting in swelling develops in the feet and legs. Its other symptoms include infection, new varicose veins, stasis or venous stasis ulcers, ache in legs, tiredness, the skin of legs look leathery, itchy and flaky. Weight loss can be proved helpful to relieve venous insufficiency. Compression stockings wearing can be helpful. Take a small break if your work is related to longtime standing. In the case of long period sitting, make sure that you are doing ankle, feet and leg workouts that can be conducted in the sitting posture. Maintain hygiene of your skin. Apply antibiotics on the affected area to relieve the infection. Elevate your legs above the heart level during the rest hours. People who are badly addicted to alcohol consumption often face the problem of swollen feet and ankle. This problem occurs because your body starts retaining the extra water that you get through the alcohol intake and this excess retention take the form of swelling. 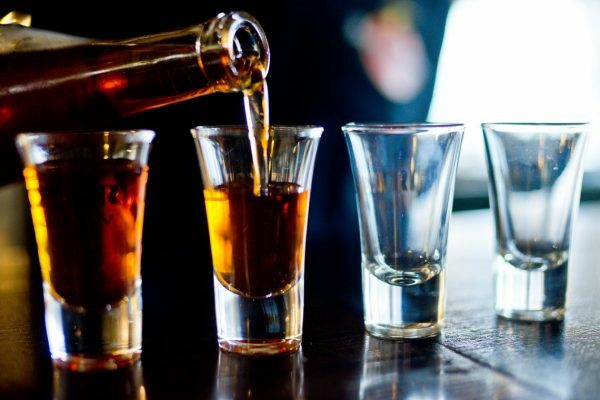 If the swelling issue is too frequent then it symbolizes that your alcohol consumption quantity is too much and it is affecting to other body parts too such as liver, heart, and kidney. In general, swelling caused by alcohol consumption get disappears on its own within a few days. However, if this issue exists for the longest time then it is must to take medical advice to avoid further health hazard. To treat the swollen feet issue caused by alcohol consumption, taking rest with elevated feet is helpful. Soak your feet in the cool water tub for relief. Increase your water consumption rate to reduce the retention of fluid. You should consume very less amount salt in a diet for getting fast relief. Swollen feet problem often develops as the sign of pregnancy which automatically reduced and vanished as the pregnancy progresses or after the delivery of the baby. As the body retain extra water and produces extra fluid and blood at this point in time so swelling occurs. Even if the pregnant woman stands for a long time on her feet then also swelling occurs. This problem mostly observes in the evening and get noticeable after the fourth month of pregnancy. During rest, time elevate your feet. Don’t stand for a long time. Swimming in the water pool can provide instant relief from swelling. In hot weather, days try to spend more time in the air condition. Always wear a comfortable footwear. Use of cold compress on the swelling area can provide relief. 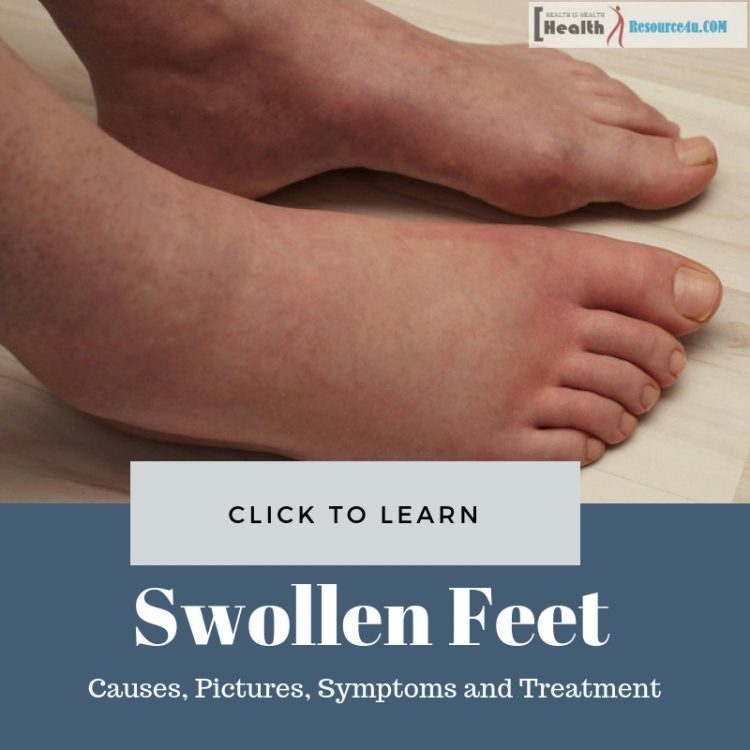 We hope the above-mentioned information regarding the causes of swollen feet is enough to understand the underlying reasons for this health condition. Apply the general treatment method as mentioned here. 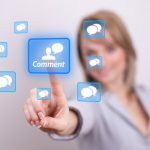 However, if the condition persists as it is for a quite long time then medical help must be taken to avoid any further chronic health trauma. I thank you so much all that you have mentioned is what is happening, I take alot of salt, meat and I do not gym at all. I than you.